Leaves hair instantly frizz free, moisturised and glossy. HEAT-TREAT™ is an easy to use hair care system giving you salon results at home. The Introductory Pack contains a HEAT-TREAT™ Cap, a Cap Liner, Luxury Hair Treatments & a Storage Bag. The HEAT-TREAT™ cap heats your hair creating a salon-steam environment that works with any deep conditioning treatment, mask or oil. It will maximize the performance of any treatment, increasing adsorption and intensifying penetration of the good stuff so that your hair is nourished up to 3 times more effectively. 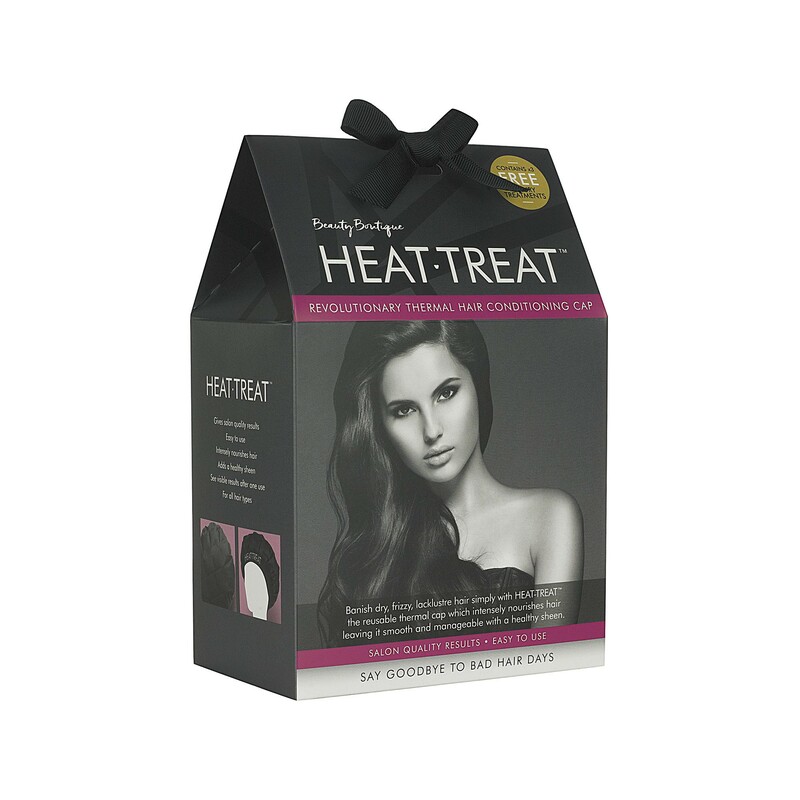 Suitable for all hair types, you can use your HEAT-TREAT™ cap as often as you wash & treat your hair. 1 Wash your hair and apply your preferred hair treatment (following manufacturer’s instructions), wrap hair into a flat bun on top of your head and cover with the cap liner. 2 Microwave HEAT-TREAT™ Cap at FULL POWER for up to 2 minutes (microwaves vary in power but normally 800W). 3 Place the warmed HEAT-TREAT™ Cap on head. 4 Wear for 2-10 minutes or according to treatment instructions. 5 For Leave in Treatments take HEAT-TREAT™ cap off and style as normal. For treatments that require washing out, remove your HEAT-TREAT™ cap, rinse hair and style as normal.